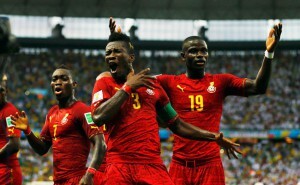 Ghana captain, Asamoah Gyan, has shredded reports that he failed a medical at the Madejski Stadium as ‘lies’. Instead, Gyan has shown an unrivaled patriotic act by turning down a request from Reading to skip next year’s Africa Cup of Nations. It is that proposal by the club which led to the breakdown of talks between the two parties in the highly publicized loan move. The 30-year-old, who was in England to seal a loan switch from Chinese side Shanghai SIPG, appears unhappy about the fake reports and has revealed that the move collapsed because of his forthcoming participation in the Africa Cup of Nations. The Championship side wanted Gyan to skip next year’s Africa Cup of Nations to be held in Gabon before a deal could be finalised – a proposal the iconic Ghana captain rejected flatly. The English side would have lost the Shanghai SIPG attacker for a period of five weeks if he represented his nation at the continental showpiece in Gabon from January-February, 2017. Gyan is on a hunt for a new club with reports suggesting he could sign for a Premier League side before the transfer window shuts, tomorrow. Gyan enjoyed a successful two-year spell at Sunderland before making a big-money to the United Arab Emirates where he signed for Al Ain on a four-year deal.